Being the son of a fulltime Christmas tree grower, I can share that Decembers were what you can imagine. So my mom, ever the planner, asked us pre-teenybopper kids to create for her and my dad a Christmas list of what we wanted. That’s no surprise, right? Pretty status quo. But for us, there was deadline—a very understandable deadline. Mid-October. November when those big Christmas catalogs came out from store giants like Sears and Roebuck and Montgomery Ward. You remember those 22-pound gifts in the mailbox from God as a child, right? The toy section? DREAMLAND! Then things changed. 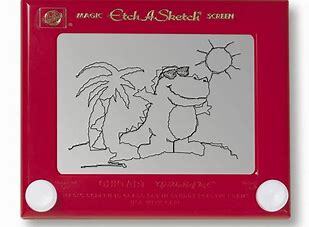 And this inevitable change is universal to us all, even if you never wanted or still may want to know what an Etch-A-Sketch is. It’s called the Shorter List. And with more age, the Shorter List becomes what is known as No List. The No List? You know what I’m talking about if you’re past the age of thirty. Without realizing when it happened exactly, you realize mid-December is upon you suddenly and yep, you have No List. There is nothing you really want. Sure, if you HAD to, you could fill out a list of stuff you wanted or needed. In fact, this practice may coast you into your mid-thirties, but eventually we all stop making lists. We stop thinking there is something we need. I am going to challenge this thinking in my column this week. I believe there is something you need. It’s selflessness. Other things to add to your list (as they are on mine) are humility and patience. God sent a very clear message with His Son born in a manger. The King of all Kings wasn’t born in a palace with silver spoons, a staff of nannies, and a host of topnotch prep school applications that came in packet with pristine preschool applications. Three significant gifts did arrive, yes, but this King would not inherit earthly power. Maybe I should have started this column with the question of what you would like for Christmas. It could get you thinking and lead you to where I am now. Recently, I sat on Santa’s lap in a mall. I had one knee, my mom had the other, and I have the picture to prove it. [I said I wasn’t that emotionally scarred as a child of a Christmas tree farmer. You didn’t believe me, did you?] I was honestly surprised—and mildly disappointed—that Santa didn’t ask me when just the two of us were talking in semi-privacy what I wanted for Christmas. I do want something for Christmas. I hope you want it, too. I want peace. I want love. And I believe for this to happen, I think we need to get back to that selfless thing I was talking about and that humility deal that is so important because when we consider how Jesus arrived, that lowly birth story is pretty telling of where—and how—we should go through our lives in this world. This blog was published today in The Susquehanna Independent. « Ho ho whoa! You have this family tradition, too.